In 2009, Vancouver public schools got about 6000 new Dell workstations for teacher and student use, under what the school district refers to as the Computer Sustainability Plan (CSP). This tutorial is aimed at Vancouver teachers trying to make effecient use of their new computers. 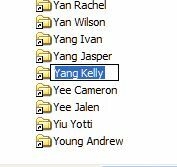 When logged into one of the new (CSP) workstations using a VSB teacher log-in, you should have a folder on your desktop labelled Teacher Tools. In there are some useful tools, including one named Student Homes that gives teachers access to the Home Folders (My Documents + Favorites) for every student in their school, arranged by names (last name then first name) rather than BCeSIS number. While this is handy, finding the students in your class can be chore, when they are mixed in with all the other students in your school. 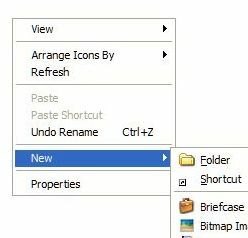 You can create your own folder with links ('shortcuts') to all your students' folders - which lets you, for instance, distribute files like worksheets or Internet shortcuts, to all the kids in your class. It's a bit of a chore to do - though it takes longer to describe than to do! Luckily, you'll only have to do it once a year (perhaps updating it when you get a new student). 1) Double-click on the My Documents folder icon (in the top-left corner of the desktop). Right-click anywhere in the window that opens, and choose: New, then Folder from the popup menu. Double-click to open your new, empty class folder. While the student's name is blue like this, press Ctrl + C (hold either of the Control keys and press the letter C) to copy the student's name to the Clipboard. Then, double-click on the little folder icon to open that student's folder. 3) You should see two folders. One will be labelled Favorites, the other will either be labelled 'My Documents' or something like '813213's Documents' (where the number is the student's BCeSIS number). An icon will appear - but it will have the name of the student's documents folder, My Documents or 812317's Documents... not very helpful! 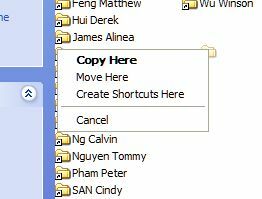 Press Ctrl+V to paste the student's name (which you earlier copied to the Clipboard). Ta Da! Repeat as needed for each student in your class. Tedious, but only something you need to do once.